FalconView stocks many sizes and configurations for Spacer Spools, Double Studded Adapters, Flange X Studded Adapters and Adapter Spools. Specific sizes are available upon request. 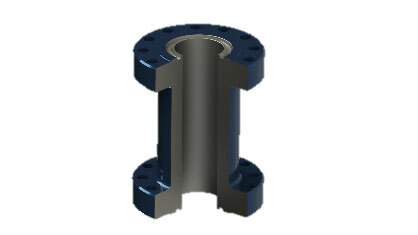 Blind flanges are also designed to API6A spec with top flange hub. 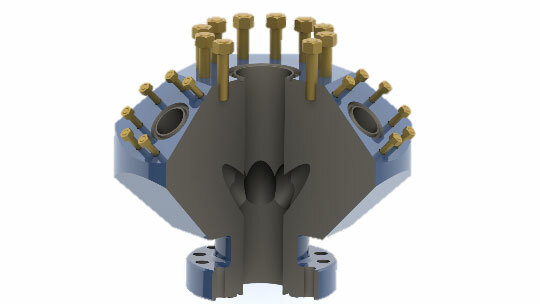 Most flanges are offered with a test port and Valve Removal Plug Recess. True blind flanges are available upon request. Sizes available are 1-13/16″-7-1/16″. Trims available are EE-NL and FF-NL. Pressure Rating from 5K thru 15K. Tees Crosses and Elbows are designed directly from API6A. The standard offering for these items are found in EE-NL and FF-NL, 1-13/16″-7-1/16″, 5K thru 15K. Additional sizes and trims available upon request. 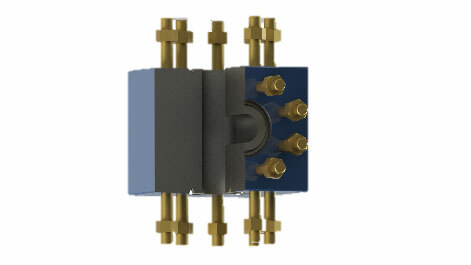 FalconView Fracheads are stocked in various sizes, configurations and pressure ratings. Inlets are offered in 90, 45,30 degrees. Specific sizes and configurations are available upon request. Weco adapters are offered with female nut and plug. 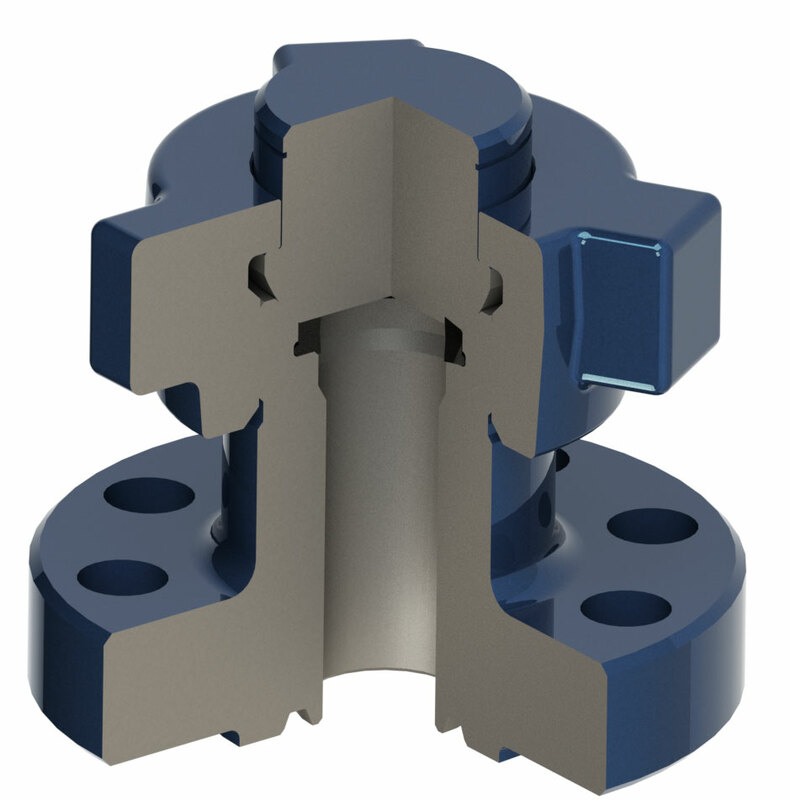 Available sizes offered are found in 1-13/16″ thru 7-1/16″, 5K thru 15K.